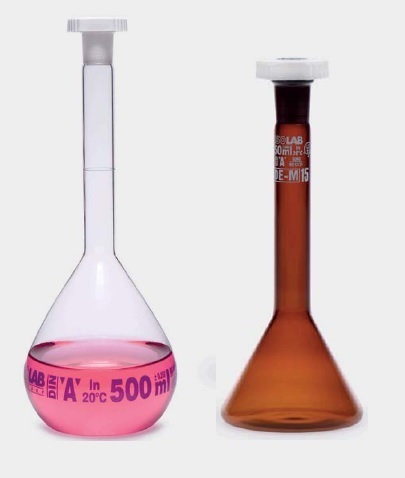 Calibrated Volumetric Flask Specially designed for applications where more than one stirring position is required. Maintenance free brushless DC motor with low noise level offers a smooth start and quick stop.Featured with 10 stirring positions with each guarantees stirring capacity up to 0,4 lt. Stainless steel stirring plate provides impact resistant, easily cleanable, scratch proof surface. Stirring plate is covered with an anti-slip silicone film for advanced protection. Electronic speed control from 15 to 1.100 rpm provides a gentle revolution and precise stirring speed even at maximum speed range.